As much as we’re sure your kids will love their new trampoline, we can’t promise you’ll have as much fun assembling it for them. Sorry! love doing it for you. So if you can’t face the thought of trampoline assembly, you have a couple of options. No Worries Assembly Service are located on the Gold Coast and can assemble just about anything for you (even IKEA furniture!). They take the worries out of trampoline assembly. Give Stu a call on 0438 065 797 and he’ll have you sorted in no time. And for those in Melbourne, we recommend Flat Out Assembly Service. 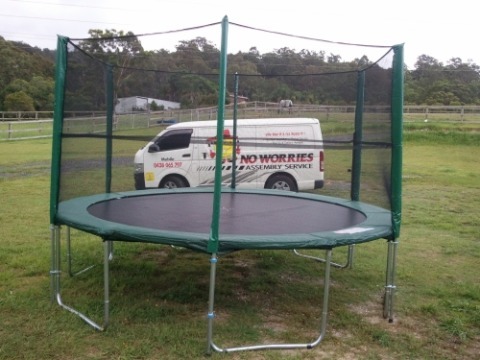 Give them a call on 0429 664 446 for help assembling your trampoline.